From West Cork to Kent, innovative chefs are shunning excess and shaking up fine dining, with a return to the humble pub. Between Rob Krawczyk opening his much-anticipated Chestnut Restaurant in an old pub in Ballydehob this spring, Michelin-starred Danni Barry (formerly of Michael Deane's in Belfast) reviving Clenaghans, a rough-walled pub in Co Antrim into a culinary destination, and Clare's The Wild Honey Inn scooping a Michelin star, 2018 is shaping up to be the year of the pub/restaurant. Undoubtedly a vanguard of this insurgence is Stephen Harris, whose "grotty" pub The Sportsman, on the scrubby shore of north Kent, happens to be one of the most influential restaurants in the UK. When Stephen first came across the premises, the year was 1999, and the place was “basic” to put it mildly – hunkered down in a car park, surrounded by marshland, with the Thames Estuary behind, it was far from perfect, but then he wasn’t looking for perfect. His idea was to open a “budget” top restaurant. After ripping out the beer-stained carpets, deep-fat fryers and net curtains, the only thing this self-taught chef kept was the pass in the kitchen – which is still there today. He travelled the length of the country to buy plates from the seconds shops at the major potteries. He wanted to use the same plates as the posh, expensive places, but these would be ever-so-slightly imperfect. “I just loved the idea of a seconds restaurant,” he admits. Once he opened, Stephen knew the only way that people would venture out on a winter’s night was because the food was so good that they had to. Fast forward 18 years, one Michelin star, and countless awards, accolades and drooling reviews later, and Harris’s self-described “grotty rundown pub by the sea” has been crowned the UK’s National Restaurant of the Year for the second year running. 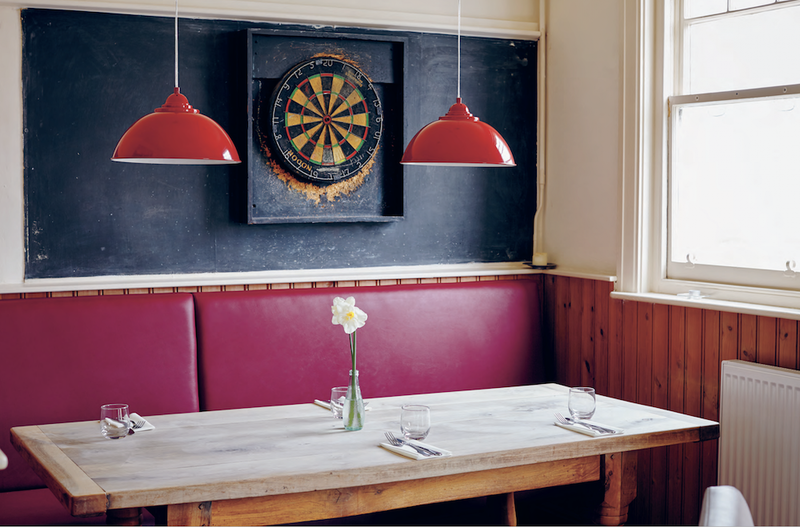 The Sportsman (Phaidon, €39.95) cook book was one of the most hotly-anticipated culinary releases of last year, and it has not disappointed, converting the pub's cacophony of flavours into its pages for recipes. Here's a taster from Stephen himself. 1 Season the scored duck breasts well. 2 Heat a good quality non-stick frying pan on a medium heat and add the duck fat. 3 Cook the duck breasts, skin side down, for 5-7 minutes until the skin is mahogany brown. Be patient with this. I like to weight the breasts gently with another pan to ensure they stay in contact with the heat. 4 Take the pan off the heat, turn the duck breasts over and leave them to finish cooking in the warm frying pan. After 10 minutes or so, once the pan has cooled, transfer the breasts to a warm plate. Season again and leave them to rest. 5 Drain off as much of the fat as you can (you can store this in an air-tight jar to use at a later date for frying or roasting potatoes), retaining the duck juices in the pan. 6 Return to a low heat and add the onion, cloves and a good knob of butter. Warm gently, then add the green beans. These will only need to be warmed up, rather than cooked. 7 Add a few drops of freshly squeezed lime juice and another knob of butter. Add the cherries and give the pan a shimmy and shake to emulsify. Remove the cloves and add the lemon verbena leaves. 8 Divide the beans and cherries among four warm serving plates. Carve the duck breasts into slices, allowing half a breast per person, and serve on top of the green beans and glossy cherries.